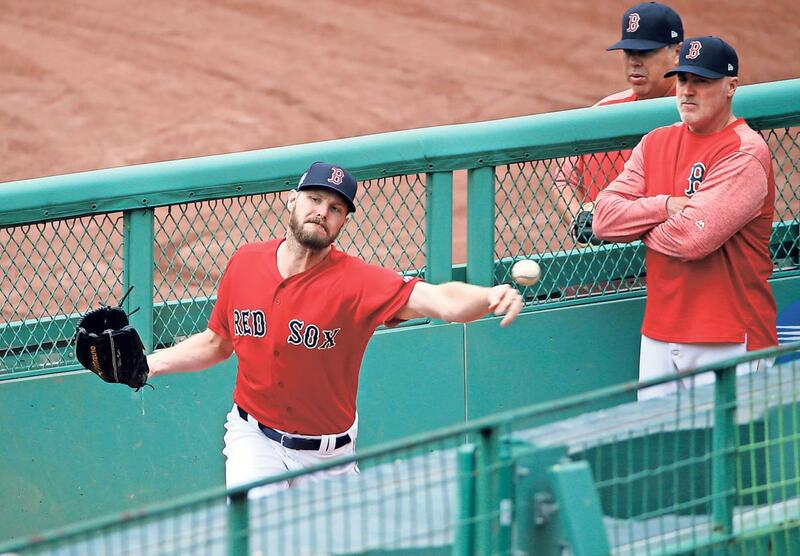 Two evenly matched powerhouse teams will square off tonight at Fenway Park when the Red Sox and Yankees go head-to-head in the postseason for the first time in 14 years. This time around, it’s a short five game ALDS series with the victor advancing to the ALCS to face the Astros-Indians winner. “Baseball is just weird in terms of you play this whole season and in a short series — one game especially – it doesn’t show out who the best team necessarily is,” said Jon “Boog” Sciambi who will be calling the series for ESPN Radio along with Jessica Mendoza. “The Yankees have a bullpen advantage. The Red Sox though are a better team, slight, but better. It was exactly one year ago today that Sale got hammered in his postseason debut in Houston, giving up seven earned runs in five innings as the Astros crushed the Red Sox 8-2 and en route to winning the series, 3-1. While the passion and tension that permeated Boston during the last Red Sox-Yankees postseason showdown may not reach 2004 levels, Sciambi believes the rivalry will bring out the best in both cities. “Tonight will be pretty electric because they haven’t played in the postseason in so long and there will be some energy,” Sciambi said. “You saw it this year. They haven’t been good at the same time. There were games this year when there there’s just more of a spark, it will be fun and there will be good energy in both places. It’s interesting how Boston has changed there’s no question.